﻿Watch Dr. Sherman’s Videos With Tips on the New Facebook Dating Platform! Dr. Sherman is very excited that Facebook Dating has launched in Canada and is coming soon to the US. She is ready to use her tools and dating approach and apply them to this new platform to help her dating coaching clients and finds it to be very promising! Stay tuned for more developments on this front. Dr. Paulette Kouffman Sherman is an award-winning author, relationship expert featured in The NY Times, Newsweek, Match.com, CBS’s The Early Show and a recognized licensed psychologist and life coach, specializing in singles and couples therapy. ‘Paulette is known as ‘The Relationship Doctor’ and her Inside-out approach to relationships is detailed in this article by Datingnews.com. Paulette values her mission of helping people to love their life and to learn about themselves. See her interview about this here. She is the founder and director of Paulette Sherman Group, a psychotherapy and relationship coaching practice and home of numerous award-winning books, including Dating From the Inside Out published by Simon & Schuster. Dr. Sherman offers live, phone and group counseling specializing in relationship coaching at all stages for an affordable price. Dr. Paulette is the author of Dating from the Inside Out, published by Atria Books, the upcoming, Marriage from the Inside Out & Facebook Dating: From 1st Date to Soulmate and 21 others. Her books have been published in 6 languages and have won fourteen book awards. 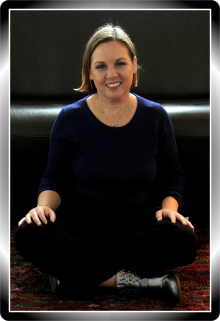 She has twenty years of experience as a psychotherapist, was an adjunct professor at two universities and a monthly speaker at The Learning Annex in Manhattan for two years. For more than 20 years, Paulette changed the lives of thousands of clients, and shared insight with millions more through expert commentary on 77 WABC radio and over 350 media outlets including being an expert on television shows like Channel 11, Fox 5, the CBS Early Show & the AM Northwest Early Show and a radio guest on the Curtis Sliwa show, NPR’s Cityscape, Unity Radio’s “The Soul-Directed Life,” Pathways and others. She is a Relationship expert who has been quoted in Glamour, Cosmopolitan, Redbook, Reader’s Digest, MSN.com, USA Weekend, the NY Post, Newsweek, Lifetime.com, More, Match.com, Foxnews.com, Fox Business, Crains, Better Homes & Gardens, Forbes, Woman’s Day, Elle, Metro newspapers, Men’s Health, Men’s Fitness, Marie Claire, Seventeen, Men’s Fitness, Bustle, Brides Magazine, Martha Stewart Weddings, WeddingWire, Refinery 29, Well and Good, New York Magazine, Woman’s Day, Web MD, Everyday Health, Psychology Today, Complete Woman magazine, Spirituality & Health, Spirit and Destiny, Aaptiv, the Huffington Post, Guideposts and the NY Times. Dr. Sherman lives near NYC with her husband of 12 years and her two children. Email her today with inquiries or to set up an appointment: DrPauletteSherman@gmail.com.